AmeriBar has partnered with Paypal to offer financing on all bar exam courses and tutoring. When you checkout of our online shopping cart, select “Paypal” and you will be automatically transferred to your paypal account to complete payment. 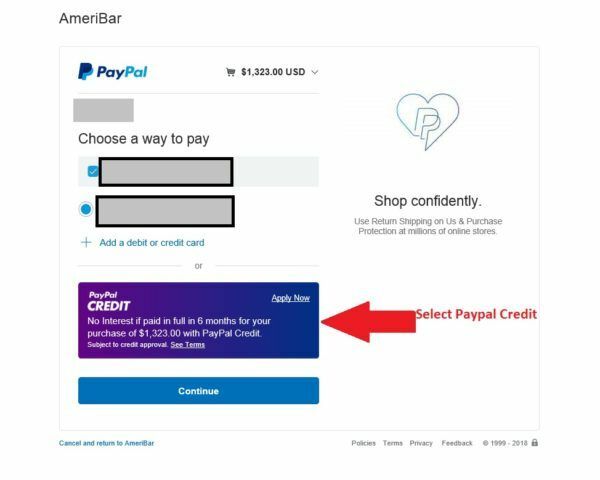 In your PayPal account, select “PayPal Credit” and you can apply to finance your AmeriBar enrollment!